Jessica’s research focuses on smart blue growth and how innovation ecosystems nurture and facilitate the emergence and transfer of new products, services, and processes in the marine sector. Smart blue growth highlights the importance to align economic activities while sustainably using and managing marine resources. Jessica is a PhD Scholar in the School of Biological, Earth and Environmental Sciences (BEES), and in the Department of Management and Marketing, Cork University Business School (CUBS). Jessica is also the project manager of ProtoAtlantic, an Interreg Atlantic Area Programme, and will conduct policy workshops with marine stakeholders in Ireland, Spain, Portugal, France, and Scotland focusing on developing blue growth strategies. Jessica has joined UCC from the Norwegian University of Life Sciences where she holds a MSc in Environmental Governance (2017). Her background also includes a BA of Media Science (2015) from the University of Oslo. Jessica also studied at the University of Hong Kong (2014) gaining a deeper understanding of human geography and eco-tourism. 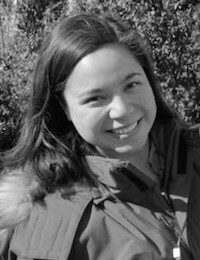 Jessica has a diverse international background in political, social, and environmental sciences, human geography, and research. As part of her training, she participated in fieldwork in India to study the impact of the monsoon trawling ban on artisanal fishing communities in Kerala and in research determining the health of marine mammals in the Azores, Portugal. Further information about Jessica can be found on Linkedin.